Bristol Bay salmon broke all records this summer. 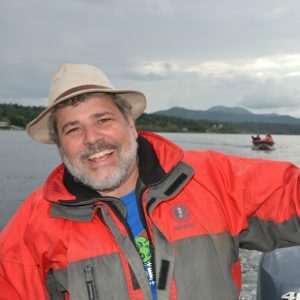 The largest recorded run of sockeye salmon–an amazing 62.3 million–returned to Bristol Bay in 2018. This brought a collective sigh of relief to the people of the region where I call home. But our salmon need more from us. 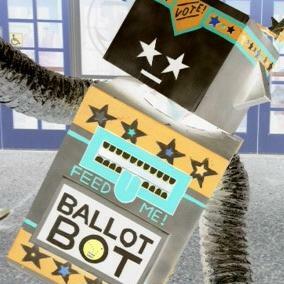 They need us to vote. 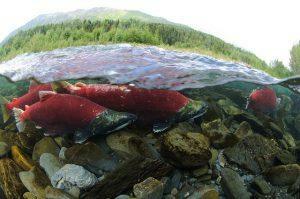 Many of my neighbors rely on salmon for their livelihoods, food and culture. I fill my freezer with fish every year, too. I want to make sure we have salmon in the years to come. You can help do that by voting for candidates and measures that protect fish and wildlife. Alaskans can do just that this year by voting yes on Ballot Measure 1 this weekend or on Election Day Nov. 6. 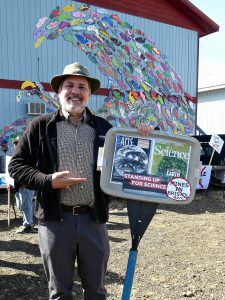 Trustees’ board member Todd Radenbaugh, PhD, stand for science and salmon. Photo by Michelle Sinnott.